Please join us at the Pensacola Planetarium. 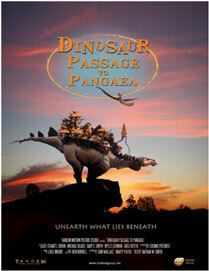 We will be seeing Dinosaur Passage to Pangaea. This show will appeal to ALL ages. This is an animated adventure explaining one of the greatest geological events in the history of the Earth: the separation of the supercontinent Pangaea. When two children embark on a geology field trip back in time, they are thrown into a fantastic voyage where they witness incredible geological wonders and learn the mysterious process that shaped our present-day continents. From roaming across the untamed landscape atop Dinosaurs to plummeting to the center of the Earth, DINOSAUR PASSAGE TO PANGAEA is a perfect educational glimpse at the tectonic forces that forged our world. It is the ultimate field trip! Please text me for secure direct payment link. ~In Building 21 located at the SW corner of the Pensacola campus, near the intersection of Airport Blvd. and Ninth Ave.